Posted on March 3, 2018 Posted in Mousse	. I love how coffee intensifies the richness of the flavour of chocolate. In a similar manner, I recently discovered port can also have a similar effect. So I figured it would be interesting to see what would happen if I used both of these flavours via liquors with the chocolate. Though my expected result didn’t occur the outcome was a success in an alternative way. 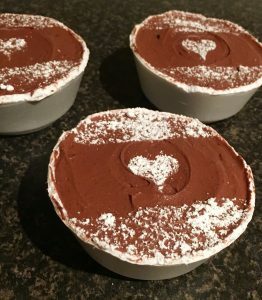 The chocolate flavour was not enhanced, however the mix of the 3 flavours produced a very tasty and decedent twist to the standard chocolate mousse. The dark chocolate is still the dominant flavour, but is closely complimented with the liquors profiles. This recipe is not too crazy out-there, but an interesting twist that has a straightforward and uncomplicated method with no oven required! 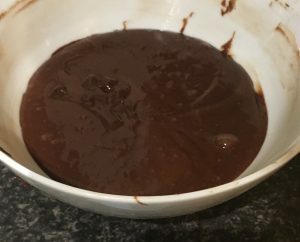 Place the chocolate into a saucepan and heat on the stove on low until the chocolate has just melted, take off the heat and leave to cool to room temperature. 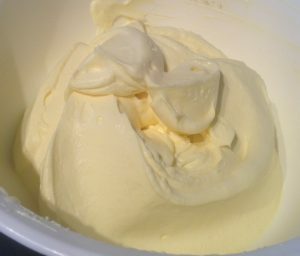 Meanwhile, place the 2 egg yolks and cream into a bowl and using electric beaters whisk until soft peaks form. Add the cooled chocolate, 20ml Kahlua and 10ml Port to the cream mix and beat until just combine. 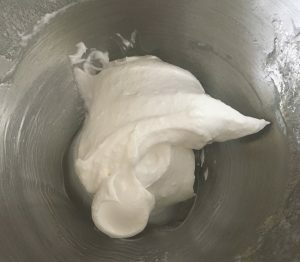 In a separate bowl beat the 2 egg whites until stiff peaks form. 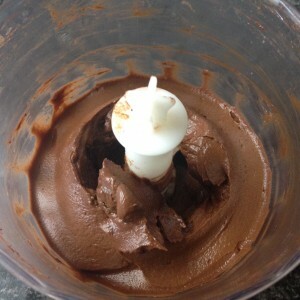 Fold the egg whites into the chocolate mix until just combine, place in the fridge for later use. For the biscuits pour the 1+1/2 tbsn Port and 2+1/2 tbsn Kahlua into a shallow bowl and stir with a spoon to combine. Dip 6 of the biscuits into the liquor mix to absorb some of the liquid, chocolate side up. 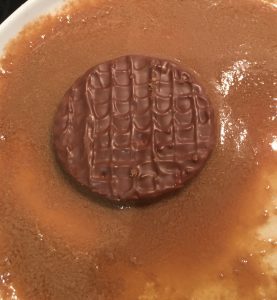 Place soaked biscuits onto a plate, chocolate side down. Cut 6 x 3cm strips of acetate paper, place a biscuit on the bench and wrap a strip around each biscuit. Hold the acetate in place with some sticky tape. Repeat the wrapping process for all 6 soaked biscuits, place the biscuits with rings onto a large plate. Remove the mousse for the fridge. 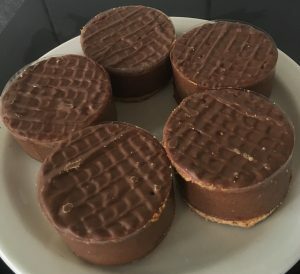 Spoon the mousse on top of the biscuits until it reaches the top of the ring, then push down the mix softly with the back of a spoon to eliminate any gaps. 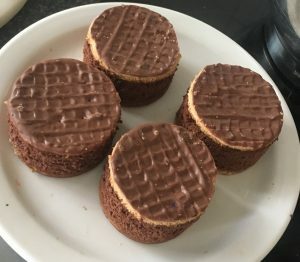 Dip the remaining 6 biscuits into the liquor mix, chocolate side up until all the liquor is absorbed. Top the mousse with the 6 biscuits, chocolate side up. 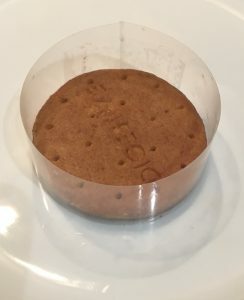 Use your fingers gently, to push the top biscuit down slightly to sandwich the mousse. Place the plate in the fridge overnight to set (or 4+ hours). 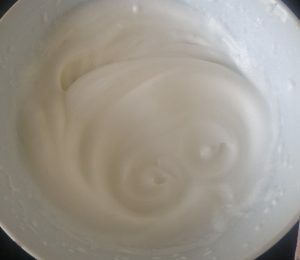 To make the frosting whisk the egg white and cream of tartar in a bowl with electric beaters until soft peaks form. 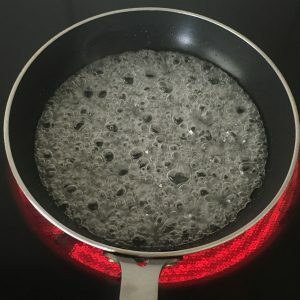 Place the water and sugar into a saucepan on a high heat, stirring until the sugar has dissolved. Place a candy thermometer into the mix until it reached 120c degrees. Start the beaters again for the egg whites and while beating pour the sugar syrup into the eggs whites slowly. Continue beating the egg mix for 10 minutes. 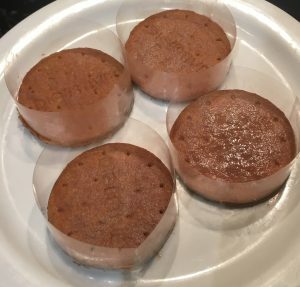 Remove the acetate from the mousse sandwiches. Place the icing into a piping bag with a star nozzle and pipe the sandwich tops with the frosting. Slightly torch the tops of the frosting (ONLY the frosting do not melt the chocolate on the biscuit) until golden with a blow torch, place in the freezer for 10 mins. Remove from the freezer and dust with a little cocoa powder and enjoy. NOTE: It is completely fine to omit step 22. 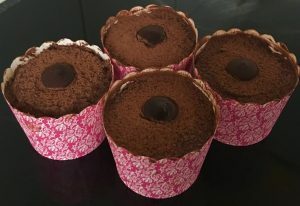 If you opt for this option then simply frost the sandwich tops then dust with cocoa powder and enjoy! Tags: chocolate, coffee, kahlua, mousse, Port, Port Coffee and Chocolate Mousse Sandwiches, sandwich	. Posted on October 8, 2016 Posted in Mousse	. 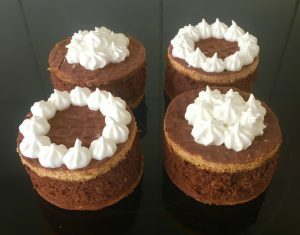 This is the most delectable and satisfying chocolate mousse you will eat. 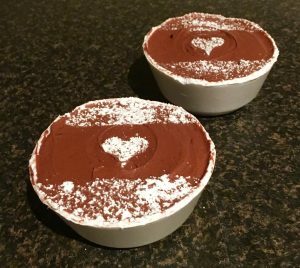 Replacing thickened cream with low fat ricotta cheese makes this dessert creamy, tasty and a lot less fattening. Adding in the spices and coffee give the chocolate more body and flavor layers. 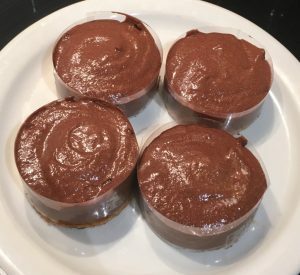 This mousse can be made super quickly and is super easy. Never again will I make chocolate mousse with cream! 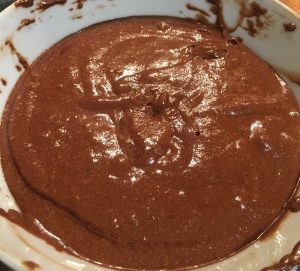 Place the chocolate in a bowl and microwave on medium for 1 minute bursts, until almost all melted. Stir chocolate until smooth and silky, leave aside. Place the ricotta, egg yolks, sugar, spices, coffee, salt and pepper into a food processor and blitz until well combine and smooth. 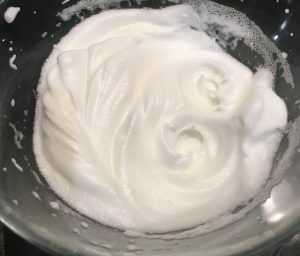 In a separate bowl beat the egg whites with electric beaters until peaks form. While the food processor is running pour in all the chocolate until well combined. Add the chocolate mix to the egg whites and fold the mixes together until just combine and smooth. Pour the mix into 4 dessert glasses and place in the fridge for 1 hour to set. Decorate with a dust of icing sugar and cocoa powder and enjoy. 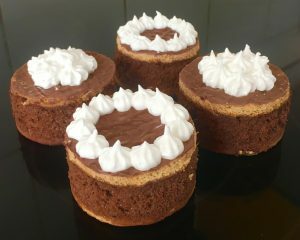 Tags: cardomom, chocolate, cinnamon, cloves, coffee, fennel, Low Fat Spiced Chocolate Ricotta Mousse, pepper, ricotta cheese	.